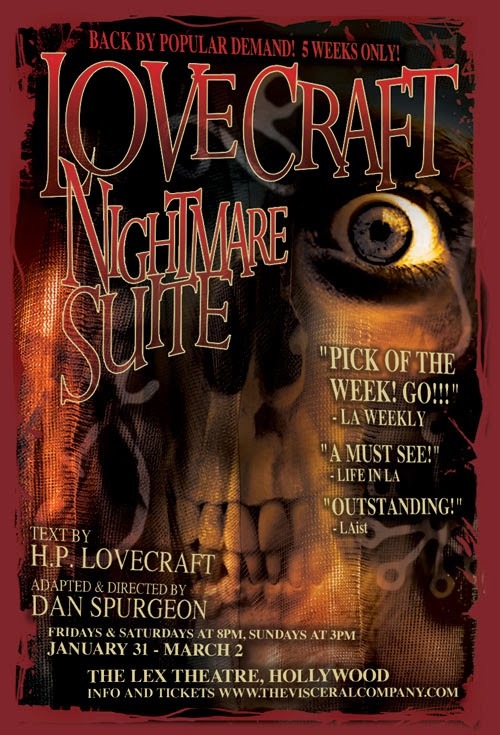 Lovecraft: Nightmare Suite (review) REDUX! The Visceral Company has been successful enough to return a few shows for extended runs. Most recently, this would be Lovecraft: Nightmare Suite. 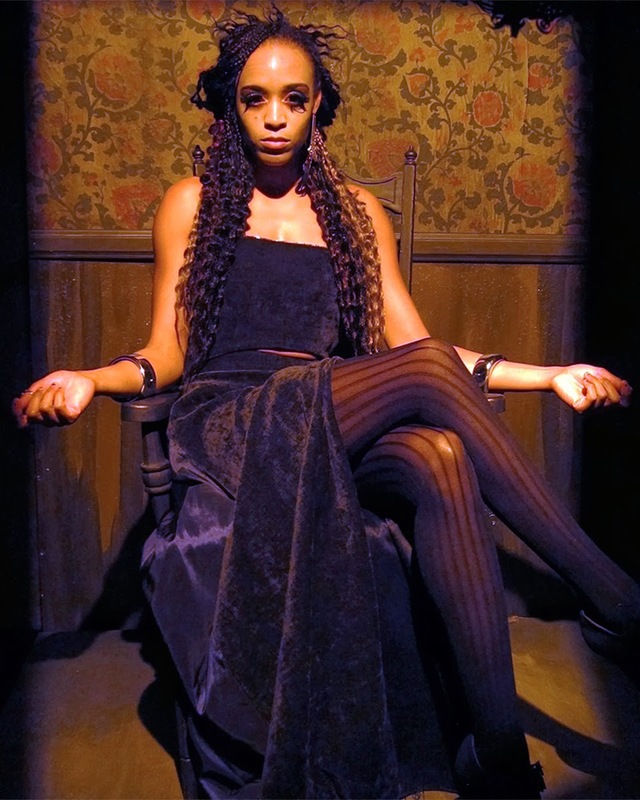 First mounted years ago in NYC, then again last year here in LA, this show makes for a marvelous journey into the mind of seminal horror author H.P.Lovecraft. Not in any autobiographical sense, but rather a series of glimpses into the man's imagination. Lovecraft might have had a fertile and strange psyche under any circumstances, but his life shaped him with all kinds of subtle nightmare fuel. Both parents died in the same insane asylum. His mother insisted her son was both fragile beyond words and too hideous to ever fit into the normal world. His family went from affluent to genteel poverty during childhood, precipitated by the death of a beloved grandfather (and sparking the loss of an equally beloved library). The result--an extremely talented, neurotic writer drawn to visions of fear and horror, unease and terror. The play begins with Lovecraft himself, played by the vastly talented and skilled Frank Blocker (fans of the Visceral no doubt will recall him in many other shows such as The Baby and Mystery Plays). He's one of the new additions to the cast, and excels as usual, especially in making Lovecraft's rather convoluted, antique language seem natural. We then see a series of stories and excerpts, using not only live actors but also puppets and shadow theatre. Devereau Chumrau returns to tell the story of "The Cats of Ulthar" using pretty much the whole of the show's bag of tricks to explain that city's law that No Man May Kill A Cat. While newcommer Ana Safar enacted out "The Outsider," a piece usually associated with a male narrator. Works better with a female, though. Indeed, Safar creates an ultimately very powerful narrative, working even if (as I did) you know the ending or (as many might) one suspects how this story will end. Other pieces include "Cool Air" and the somewhat obscure "The Picture in the House" and one of Lovecraft's more overtly apocalyptic tales, "Nyarlathotep." It makes for an almost refined version of wandering through a house of horrors on Halloween, one that eschews any cliches involves rattling chains or powered up chainsaws. The ultimate result works and works well--in a few ways better than before! Blocker is one reason. Another is thing that might shred a man's sanity. Likewise I preferred the "Cats of Ulthar" to end on a note of unease, rather than than a boom. But surely these are nuance? Yes--because the heart of the show remains exactly what it was, a worthy and entrancing odyssey into fears we don't expect. No vampires or werewolves here. Nothing specific much at all, not really. Lovecraft understood more than most that "fear of the unknown" works best without too many explanations, or even descriptions. He created at atmosphere with is language, and an expectation with the narrative. Then allowed your own imagination to fill in the rest. Which is precisely what this show does. 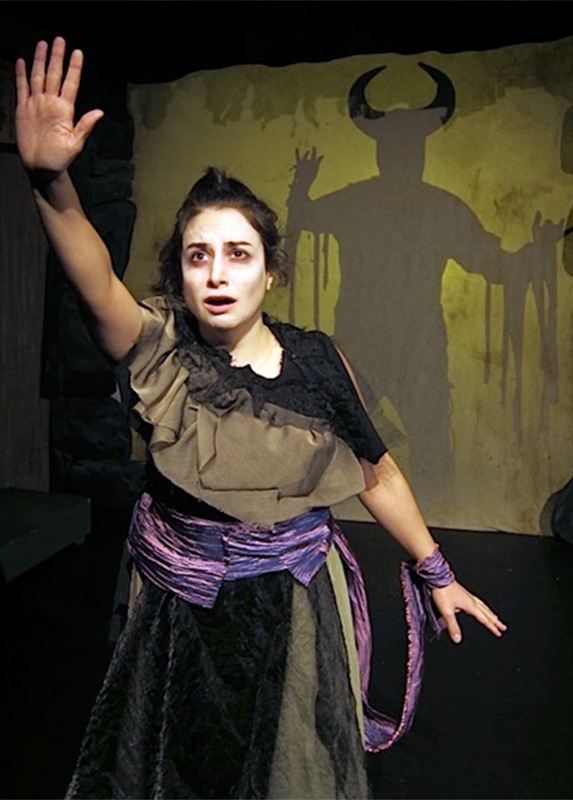 Lovecraft: Nightmare Suite plays Fridays and Saturdays at 8pm and Sundays at 3pm until March 2, 2014 at the Lex Theatre (6760 Lexington Avenue, Hollywood, 90038, one block east of Highland).